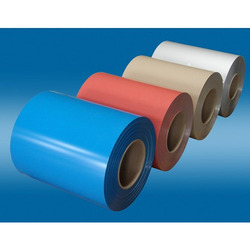 We are offering Color Coated Sheets. Our offered Color Coated Sheets are extensively appreciated in the market for its robust construction, longer functional life, high strength. Our offered Color Curved Roofing Sheet is well known in the market for its fine finishing, superior sturdiness, durability, and resistance to corrosion. We are engaged in offering a comprehensive range of Hi Rib Profile Sheets. The sheets are manufactured using modern roll forming machinery with strict adherence to all quality control procedures. The design of the profile offers excellent structural rigidity along with the flexibility to choose among a variety of colors specific to the customer’s requirement. We have been affianced in offering an exclusive collection of Rib Tile Sheet. These rib tiles are smoothly processed by using high strength materials. 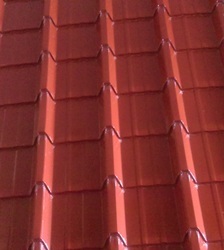 The offered rib tiles are inspected on diverse parameters of quality for deliver the defect free range. Additionally, these rib tiles are provided in numerous packaging options at suitable rates.